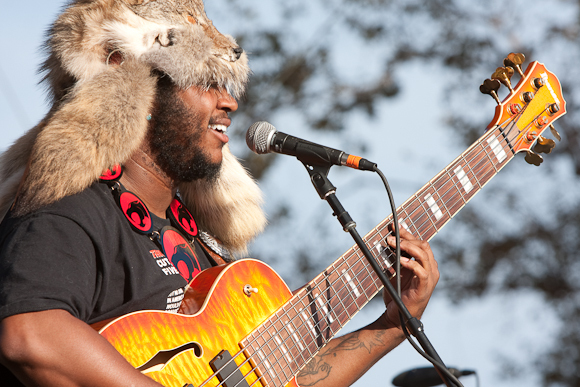 Considering Thundercat has been performing, writing and recording with Michael McDonald recently, it was not terribly shocking to see the crooner take the stage with the bass guitarist for his set at Coachella 2017. The two performed “What A Fool Believes,” which was first made popular by the Doobie Brothers (whom McDonald served as vocalist and keyboardist from the mid-70s until the early 80s). In fact, the two teamed up for a live performance of that exact same song just a few months ago when Thundercat performed at the Hollywood Bowl as part of a Brainfeeder extravaganza. UPDATE (4/16): In addition to “What a Fool Believes,” McDonald joined Thundercat for “Show You The Way” and “Them Changes.” See below for a video of their performance of both songs.